• Tempo di ricarica tipico:4 - 6 ore di recuperare al 90%. • Campo di tensione:162 - 290 V AC. • Gamma di frequenza:50/60 Hz (auto-sensing). • Tipo di batteria:2x 12 V. • Tempo di back-up:± 30 min. Presa di correnteSchuko / Type F (CEE 7/7). 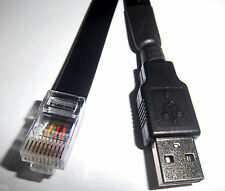 Eaton 5E1100iUSB. Form factor: Tower, Product colour: Black. Prodotti 100% originali, nuovi di zecca - eeemarket non vende prodotti usati o contraffatti - MAI! Descrizioni precise dei prodotti. PERCHE' NOI / WHY EEEMARKET. Product colour: Black, Display: LED. Prodotti 100% originali, nuovi di zecca - eeemarket non vende prodotti usati o contraffatti - MAI! Descrizioni precise dei prodotti. PERCHE' NOI / WHY EEEMARKET. CyberPower RT650EI. Form factor: Tower, Product colour: Black, Material: Plastic. CyberPower RT650EI is perfect for POS, kiosks and workstations. The RT Series adopts standby technology and provides battery backup and surge protection for kiosk computer systems, credit card machines and receipt printers. Dell P/N : H910P, H912P, 450-14157. PowerWalker VI 2200 STL. Form factor: Tower, Product colour: Black, Display: LCD. The PowerWalker basic VI 600/800/1000/1200/1500/2200 STL series is designed to answer the essential market needs. The managing software PowerWalker PowerMaster is available for download from our website. Card is in perfect condition and fully working. Form factor: Tower, Product colour: Black. Prodotti 100% originali, nuovi di zecca - eeemarket non vende prodotti usati o contraffatti - MAI! Descrizioni precise dei prodotti. PERCHE' NOI / WHY EEEMARKET. Form factor: Compact, Product colour: Black. 4 min - 405 W - USB - Backed - CE. Prodotti 100% originali, nuovi di zecca - eeemarket non vende prodotti usati o contraffatti - MAI! Descrizioni precise dei prodotti. APC BV650I. Battery type: leakproof, Battery life (max): 5 year(s). Product colour: Black. 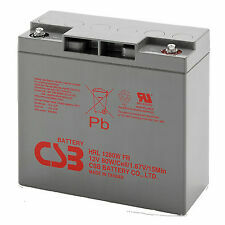 Provides temporary battery power when the utility power is out. Provide easy-to-read status of the unit and utility power conditions. MODEL SUA2200RMi2U. MPN SUA2200RMI2U. Condition: New In Original Open APC Box, with all original accessories. Output Power Capacity 1980 Watts / 2200 VA. New Open Box With All Accessories and New Internal Batteries. As always collection is available and if you want to save a little money, that is the way to go! I will include a UK mains lead and an IEC male-female with it to get you going. Just pop a battery in the bottom (rapid electronics are very good for these). APC BV1000I. 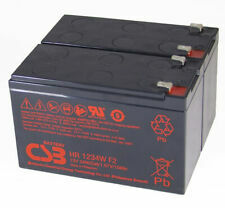 Provides temporary battery power when the utility power is out. Provide easy-to-read status of the unit and utility power conditions. PERCHE' NOI / WHY EEEMARKET. Safety-agency approved. APC BV800I-GR. Form factor: Compact, Product colour: Black. AVR - Schuko Outlet - 230V. 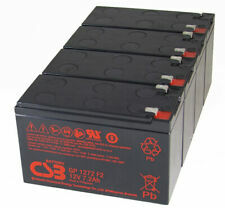 Provides temporary battery power when the utility power is out. Prodotti 100% originali, nuovi di zecca - eeemarket non vende prodotti usati o contraffatti - MAI! Conceptronic ZEUS03EM. 2 x Schuko/3 x IEC - 220-240 V AC - 1200 VA - 720 W - Black. Prodotti 100% originali, nuovi di zecca - eeemarket non vende prodotti usati o contraffatti - MAI! Descrizioni precise dei prodotti. 3000VA / 2400W - 230 V - 50 / 60 Hz - 8.56 kg. PowerWalker AVR 3000/SIV. Efficiency: 95%. Weight: 8.56 kg, Width: 120 mm, Depth: 297 mm. Prodotti 100% originali, nuovi di zecca - eeemarket non vende prodotti usati o contraffatti - MAI! Advanced on-line protection for enitive and critical load ALICRU' LC TWIN PRO2 erie i a UP range in a tower format equipped with on-line double-converion technology and the latet feature to make it an advanced protection ytem for enitive and critical load. Western Digital WD5000AZRZ Blue 500GB, 5400rpm 64MB HDD, Festplatte. Bluewalker PowerWalker VI 2200 LCD, USV. CyberPower BR LCD Serie 700VA, USB, USV. Neu und OVP. Batterien dürfen nicht in den Hausmüll gegeben werden. 300 Watt, 500 VA 4x Steckdosen APC Back-UPS 500 VA, AVR, IEC-Ausgänge USV-System mit Überspannungsschutz für elektronische Geräte und Computer Einstellbare Spannungsempfindlichkeit Einstellbare Spannungs-Umschaltpunkte Warntöne Automatischer Selbsttest Benachrichtigung bei Batterieausfall Automatische Spannungsregelung (AVR) mit Boost-Funktion LED-Statusanzeigen Rücksetzbarer Unterbrecher Zulassung durch Prüfinstitutionen . Per qualsiasi informazione contattatemi. Peso con imballo. Informazioni ambientali. Certificazione C-tick. Certificazione CE. Certificazione VDE. Certificazione GOST. Potenza assorbita in esercizio. FSP/Fortron FP 1000. Form factor: Mini tower, Product colour: Black. It can automatically restart while AC power is recovering. With Simulated sine wave, off-mode charging, and cold start function, it will be a good choice. Manufacturer Part Number : AXXRSBBU4. Battery Size : Not Applicable. APC AP9320 ENVIRONMENTAL MANAGEMENT SYSTEM NO D.O.A!! !